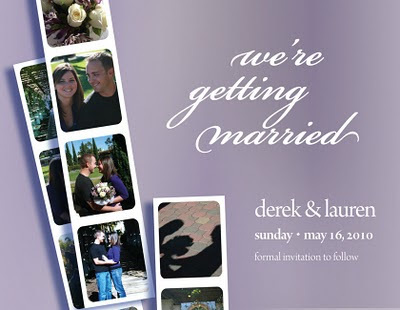 Here is the digital copy of a save-the-date I just completed for bride-to-be Lauren in San Diego. She wanted something that was classic as well as casual, and was inspired by the royal purple palette of her upcoming wedding. The actual print came out very well and was done through an online printer - when it comes to printing online, just know your paper! More on Lauren's stationary suite to come.